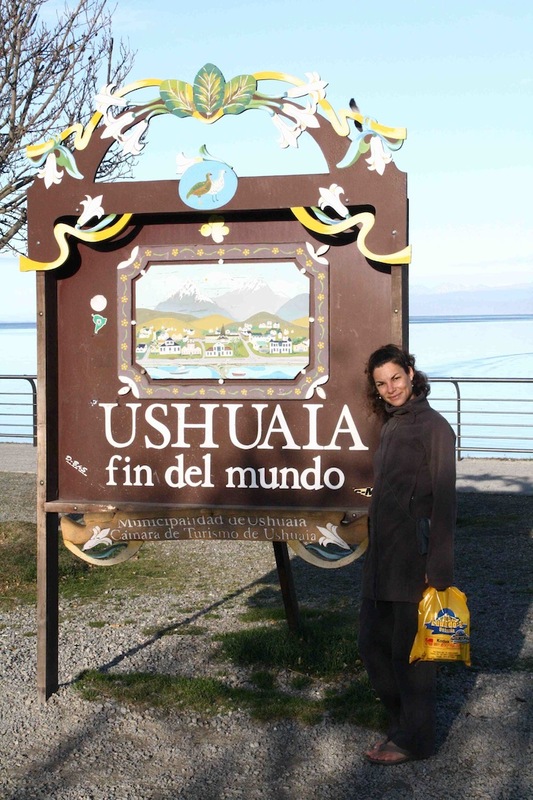 Ushuaia: We have travelled to the end of the earth. 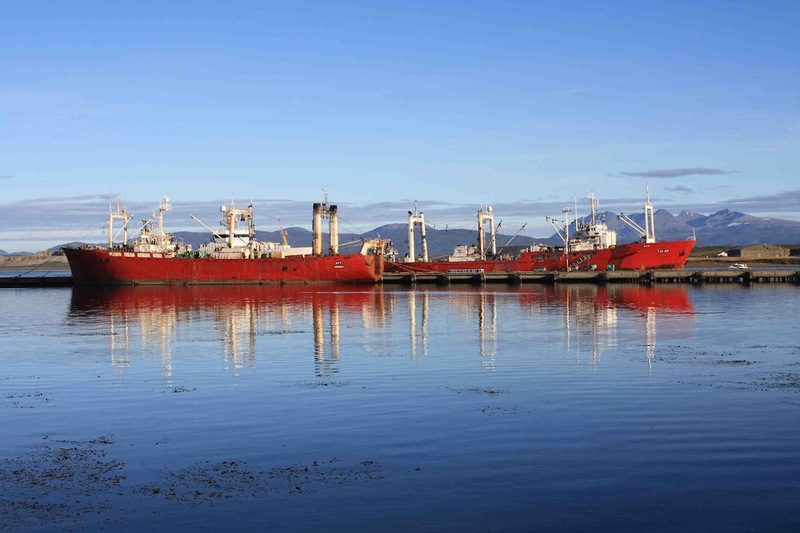 Ushuaia is the world’s most southerly permanent habitation, and it feels it. The town wears its remoteness with a heady sense of anticipation. This is the jumping off point for Antarctic adventurers, although we’re too late by at least a month to see the ships set sail or join them, sadly. We follow the world’s most southerly road to the port, where ice-breakers sit in a scoop of the Beagle Channel, named after the ship that Darwin journeyed here on in 1832. The light here is magical, sending everything shimmering and reflecting the high snow peaks and glaciers in the mirror-smooth harbour. This is the tip of the continent’s Cape Horn – Tierra del Fuego, the land of fire, so named because early Spanish explorers saw from their ships the lights of indigenous people’s fires burning. There were four main nomadic tribes inhabiting this area, two who mainly hunted on land, and two who mainly fished. But European settlers in the 1800s stole their land and pretty much wiped them out in a series of catastrophic epidemics that they had no immunity to. The Haush are now extinct, but communities of Selknam, Yamana, Alacalufe remain on isolated islands, and we see them shopping in the town. 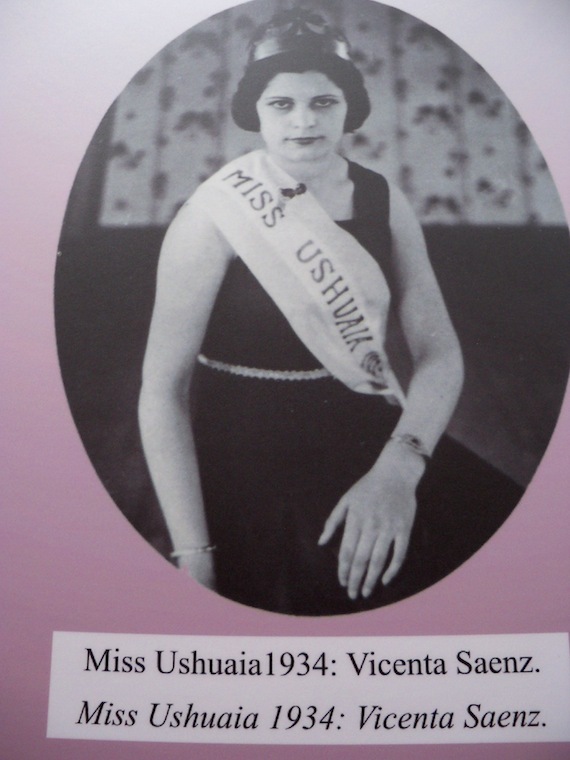 Ushuaia was a penal colony during the 19th century. Escape from here would have been almost impossible, with the freezing Strait of Magellan separating us from the mainland, and nothing but the great white continent south. According to Nick’s survival manual, if we should get stranded, we can lash together several dead seals and use their slippery, bloated corpses as a raft to make for shore. I haven’t seen any seals at all, let alone nicely accommodating dead ones – only sea lions, and they look quite heavy. While Nick’s looking for seals, I’m going to make little nooses to harness the pinguinos and fly away that way! You write beautifully, Mrs. Hope you’re having fun.